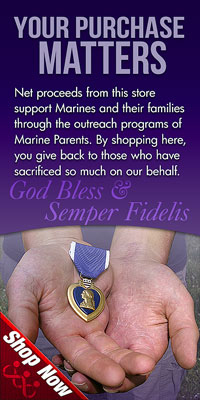 This design features the core values underneath "MARINES" and the Eagle, Globe, and Anchor. Add your family affiliation above! This design features the core values of the USMC: Honor, Courage, & Commitment with a gold Eagle, Globe, and Anchor on the front of the hoodie/sweatshirt. "Aint nobody tougher than a Marine....except a Marine Momma" with the American Flag, "Honor, Courage, Commitment" and an EGA on the back. "Marine Mom" is on the front of this hoodie/sweatshirt. This design features the core values of the USMC: Honor, Courage, & Commitment with a gold Eagle, Globe, and Anchor on the front of the long sleeve t-shirt. "Aint nobody tougher than a Marine....except a Marine Momma" with the American Flag, "Honor, Courage, Commitment" and an EGA on the back. "Marine Mom" is on the front of this long sleeve t-shirt. This design features the core values of the USMC: Honor, Courage, & Commitment with a gold Eagle, Globe, and Anchor on the front of the shirt. This design features the core values of the USMC: Honor, Courage, & Commitment with a gold Eagle, Globe, and Anchor on the front of the ladies polo. "Aint nobody tougher than a Marine....except a Marine Momma" with the American Flag, "Honor, Courage, Commitment" and an EGA on the back. "Marine Mom" is on the front of this ladies polo.